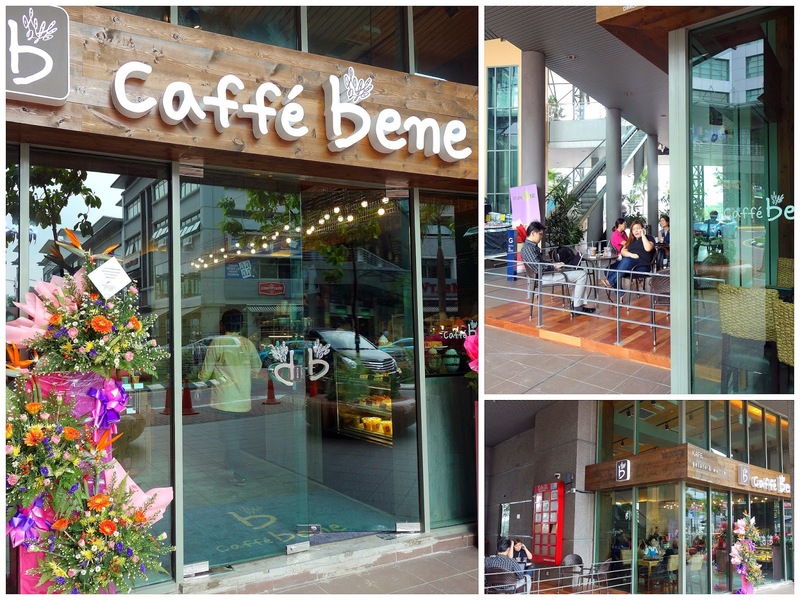 South Korean coffeehouse chain Caffebene unveiled its first two branches in Malaysia this year, bringing its people-pleasing selection to Sunway Pyramid & Solaris Mont Kiara's SohoKL, with plans for the next outlet in Penang. 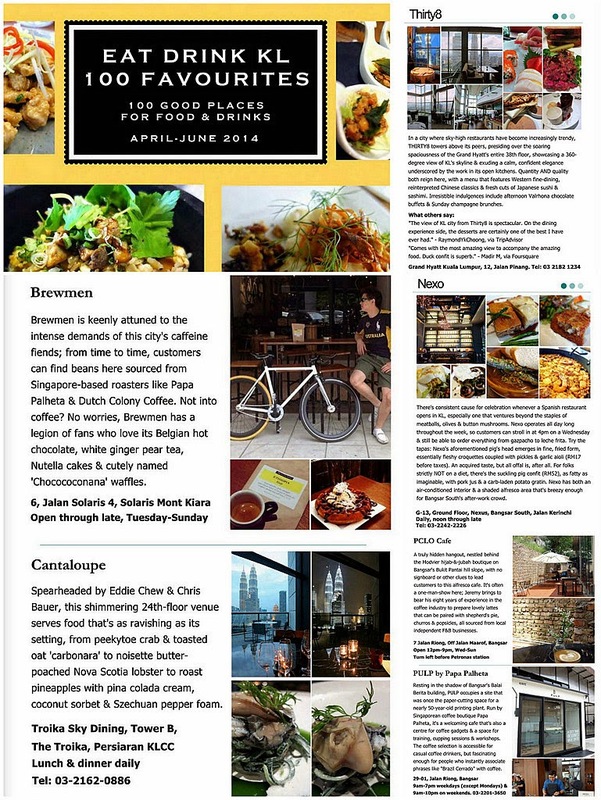 Solaris Mont Kiara is really crowded with caffeine bars now, but the new kid on block looks like it'll prove capable of luring Friday's extended-lunch crowd with its cheerful sweet treats for weeks to come. Liege waffles _ an increasingly familiar sight on KL's cafe menus _ are among the specialities here. This version crowned with 'tteok' rice cake & nuts (RM13) makes for a uniquely Belgian-Korean collaboration, with the crusty base & the glutinous topping supplying a dense chew. 'Patbingsu,' the Korean shaved-ice dessert with red bean paste is available in various forms here; the one with Caffebene's own-made coffee gelato (RM10.80) makes the most sense to try here. Other options include strawberry bingsu or cookies & cream. The gelato's not bad; satisfyingly smooth & pleasantly understated in flavour. Everything at Caffebene, from the service to the setting to the offerings, reflects a tried-&-tested, non-threatening proficiency that feels like the hallmark of massive franchises (Caffebene has hundreds of outlets in Korea & abroad). 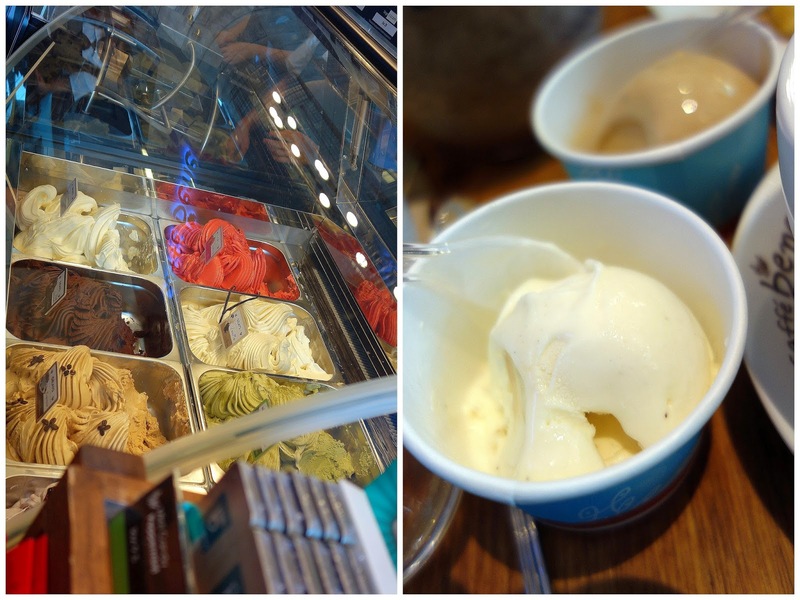 Even an affogato (RM8) that might seem boldly experimental with cream-cheese-flavoured gelato turns out to taste safely conventional, since nothing here is strikingly robust, for better or worse. Unfortunately, that characteristic makes Caffebene's Kenyan single-origin hand-drip coffee (RM8) border on blandly sterile. The silver lining is that the beverages here won't taste too sweet: the misugaru non-coffee 'latte' (RM12) is pretty enjoyable, a creamy, shake-like blend of toasted grains. 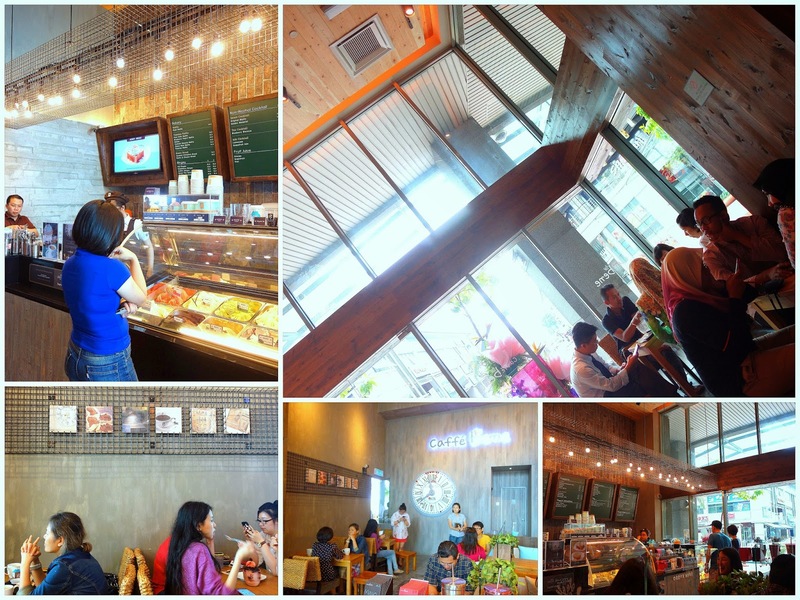 Juices, yoghurt smoothies & assorted teas are offered too; all in all, there's no reason why Caffebene shouldn't be a success in a nation where Starbucks & Korean pop culture enjoy widespread appeal. Ground Floor, SohoKL, Solaris Mont Kiara, Kuala Lumpur. Near Cold Storage. WAFFLESSSSS ! Been to korea so many times last year but never visited Bene! mont kiara branch opened? awesome!! gonna go try out soon. The weather in Luanda is so hot, why no one sell ice kacang here? I love the clock and counter display in the first photo. I love yogourt, coffee and smoothies! Oh, it's opened! Finally, Solaris is seeing a revival of sorts. I too realise a lot of coffee outlets like serving waffles. I like mine freshly made with ice cream!